The program at Kirikiri maximum prison started at 11.10am an introduction by the Welfare Officer of the prison. 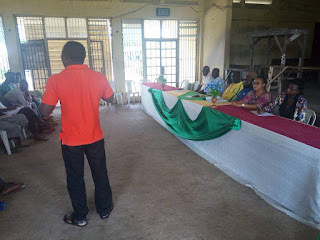 There was a brief talk by the Director of PRAI, Mr Ahmed Adetola-Kazeem, about the aims and objective of PRAI, its past events and goals, and an introduction of the PRAI’s three volunteer schemes (“Represent and Inmate”, “Educate an inmate” and “Empower an Inmate’) and few of PRAI’s achievements in assisting inmates and ex-inmates. He added that those skills began in the prison and encouraged the inmates to be a part of the scheme. 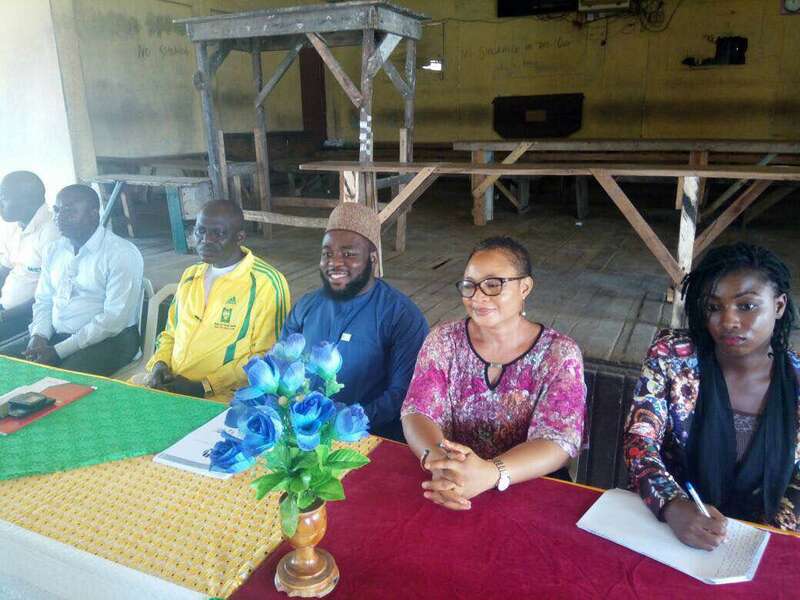 The Deputy Controller of Prisons in charge of the Maximum Prison, also confirmed PRAI’s numerous efforts in terms of pro bono litigation and rehabilitation programmes and other efforts towards making the prison system in Nigeria a better one. The welfare officer called out inmates, who are beneficiaries of the Prison’s educational system, to share their experiences. 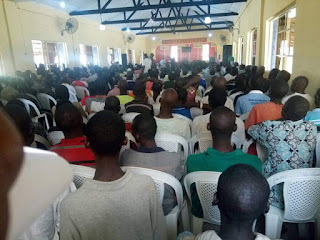 Moshood Oladipo a former death row inmate and lifer appreciated the officers at maximum prison, all prison authorities that saw to the establishment of school in the prison. 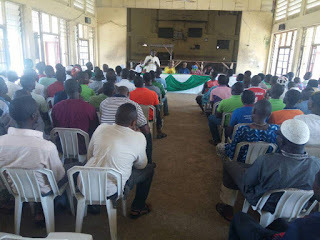 He gave his testimony of how he started learning shoe making in the prison before he wrote GCE and enrolled at the National Open University of Nigeria for his first degree and then Masters degree, despite awaiting his death. 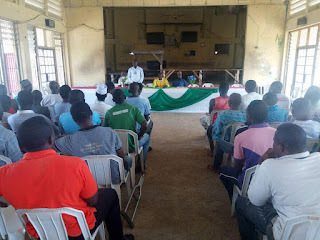 He informed everyone present that his release warrant was recently signed by the Oyo state government because of the Masters degree he obtained from NOUN. He advised the inmate to be good influence to other inmates and be known for something good in the prison because that could aid their release. He advised those who don’t want to attend school to learn a vocational skill. The general pastor of the inmates was also called upon; he said he was detained in 2003 and was condemned to death before and later the death sentence was commuted to life imprisonment . He appreciated the opportunity that was given to him to acquire both PGD and MSc. Degree at the Maximum Prison. He advised inmates that their aim of going to school shouldn’t be about the certificate but to acquire knowledge and be well equipped with skills. 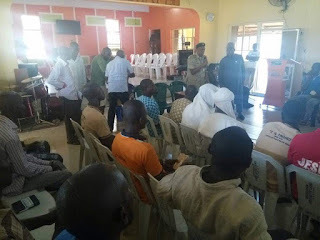 The catchyst of the prison catholic church who is also an inmate was called upon to share his experience; he appreciated PRAI and acknowledged that education a very important key to success. He took the audience through his journey from Ikoyi prison where he wrote jamb, taught fellow inmates, learnt soap making and enrolled at the Open University. He admonished inmates to take the step and start now, saying if inmates are not reformed and are being released they go outside to cause more problem just like the case of an ex-inmate that killed a one-time Gulder Ultimate Search winner. He said that with his education, once he is out of the prison he can become a Special Adviser to the President on prison issues, based on his knowledge of the prison system and the reformation he has gone through. He concluded by saying that the prison should be reformatory and not defamatory. Barr. 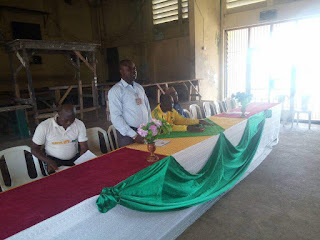 Adetola Called out for inmates interested in registering in the school today and quite a number signified by raising their hands and a list went round to collect their names. The head teacher in the prison yard, appreciated the yard officials and the representatives of PRAI, he called them the instrument God is using to change their lives. He sought for assistance in the rehabilitation of the school structure which is always leaking during rainfall. He also sought for fainacial support for the inmates who are teachers in the school as well as books, markers, pens, boards etc. He showed appreciation to the welfare officer of the prison, Alhaji Rasheed for always assisting the teachers with food supply . 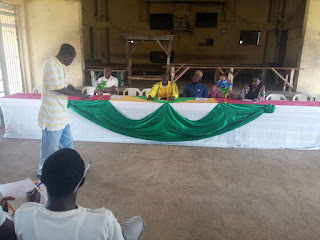 Mr. Ogbonaya the prison psychologist appreciated PRAI and its representatives. He said education is a continuum which starts from birth to death. He added that human thoughts are products of what they know and what they know is what they acquire through education. 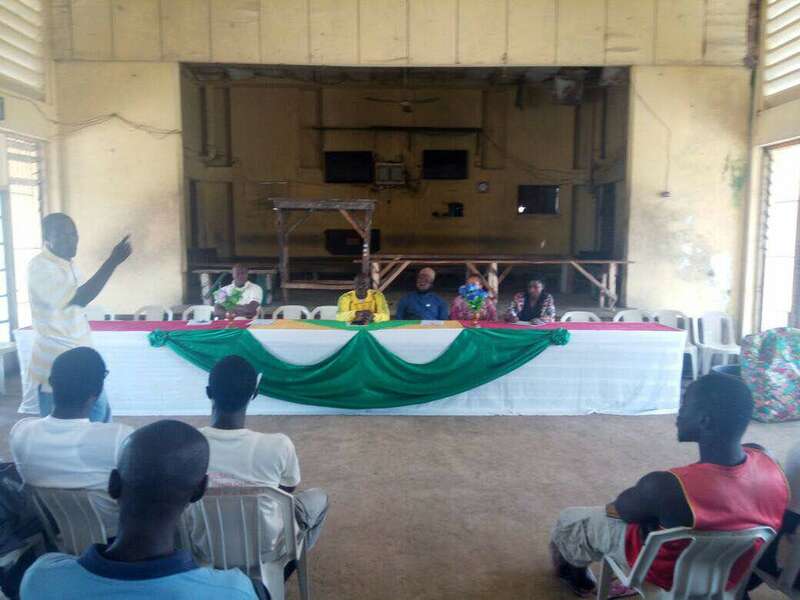 He introduced a club called 3R’s and invited inmates to be a part of the various sessions such as entertainments, sports, catering services and other activities. He advised that inmate should be mindful of the people they move with because some inmates have PhD in pulling people down. He concluded by appreciating the organizers of the program and said some prayers for them. PRAI’s director, appreciated all attendees and encouraged inmates who indicated interest in studying to fulfill their promises by attending the school. He introduced the volunteers of PRAI present at the event from Mr. Nathaniel Jamgbadi, Miss Nelly D, Miss Aramide Adedeji, Mrs. Yewande and Mr. Kehinde Ibrahim. He appreciated the prison authorities for allowing the program. The inmates showed appreciation by giving PRAI 3 gbosas. The inmates were told to queue up to collect the food items that was brought for them and they all matched out afterwards. There was a short meeting with 7 of the school teachers. They all introduced themselves and the subject they teach. Ibrahim Kamil Ogun an inmate who has been sentenced to life imprisonment but seized the opportunity to enroll in the prison nursery school to university and now teaches in the school was one of the teachers at the meeting. 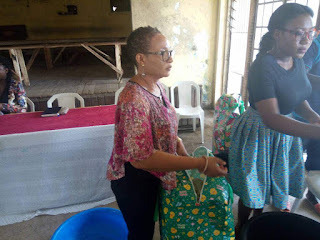 The head teacher indicated that they need teachers in the following subjects; BIOLOGY, MATHEMATICS, ACCOUNTING, HISTORY, ENGLISH and LITERATURE respectively and they also need MARKERS, EXERCISE BOOKS, and BIROS. He also said teachers needs encouragements in form of stipends. There were about 150 inmates in attendance. The program at Kirikiri medium prison commenced at about 2:15pm. The Executive Director of PRAI, Mr Ahmed Adetola-Kazeem appreciated the pastor for allowing the use of the church for the program because the school was extremely small. He introduced PRAI and how it’s set up to liberate, educate and empower inmates. He informed the inmates that PRAI will no longer be taking up random cases on behalf of inmates , and only cases of those enrolled in the school and workshops will be handled by PRAI henceforth. 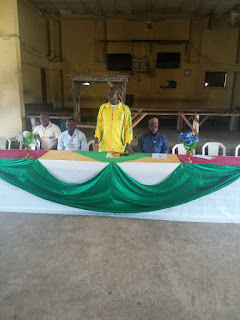 The principal of the school spoke about the needs of the school and that they have three inmates currently enrolled at the National Open University of Nigeria (NOUN). He said that they need computers in their computer school, markers, books and other materials important for the running of the school. He also said he is looking forward to meeting the new teachers and advised fellow inmates to take advantage of this opportunity. Mr. Oyeleye, another inmate appreciated PRAI and other Initiatives that are making impart in the lives of many inmates. He said that the government hasn’t been looking at human capital development and investments programs and that the school should be given a lift so that proper impartation can be made. He added that there should be a platform for empowerment and if the government can see all these, they would do a broader one. Barr. Adetola responded by saying we will keep trying our best, however we cannot do more than we can do. He made emphases on their involvements in school because we can only help those we know and PRAI is looking into human capital development programs. Frank an inmate who is a beneficiary of PRAI’s pro bono legal services, said his coming to the prison is not a mistake, but God’s divine directions and that the life he lived that got him to prison was nothing compared to what he has achieved while in prison. Before he became an inmate he had no skill and had no knowledge but now he is a 200 level student in the Open University studying criminology. 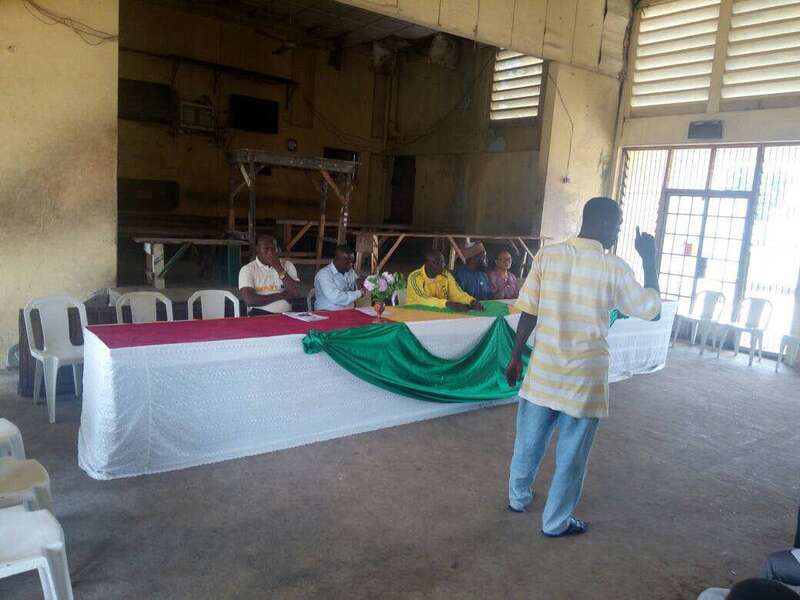 He is also a website designer and developer; he told inmates that he works with Onesimus Ventures, which is in partnership with the prison service and Covenant University, where they produce paint, soaps, hand wash, car wash e.t.c and he said their products are better that the ones we find outside. They have established business with Wema bank and have sold 5 cartons of soap to them, now he has no reason to go back to committing crime when he leaves the prison. He encouraged other inmates to take advantage of the school and workshops and that he is not impressed with the turn up of inmates in the school and the workshops. Mrs. Yewande Omotayo, a volunteer and great supporter of PRAI, buttressed his view and further encouraged more inmates to join the school, and called for those who would promise to attend school and workshops. Several of them indicated interest by raising their hands and a list was passed to them. 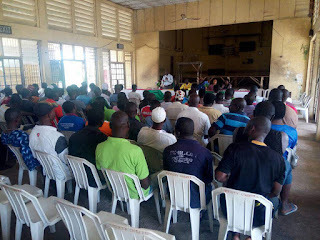 An inmate asked that after inmates have acquired these skills and have gone through school what would be the end result since the government has made the rule that freed persons would wait 10 years after being released to be fully integrated into the society again and he suggested such law be removed. Barr. 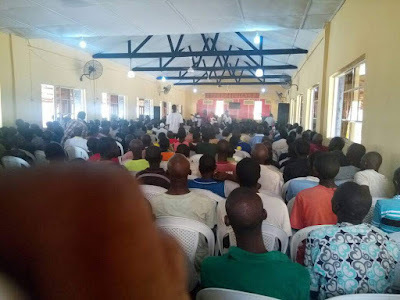 Akinola responded by saying, no education is a waste and that it is the duty of the ex-convicts to show that they are reformed and worthy of pardon and he won’t advocate that the law be scrapped. Another inmate opined that most of the inmates do not understand the meaning of human capital development and how they can take partake in what they do not understand, he also said that many of them went into crime because of lack of skills and knowledge and they need more help from initiative like this in other to expand the training facilities to accommodate more inmates. He added that ventures in prisons like Onesimus Ventures needs to have partnership with initiatives and foundations such as PRAI the purpose of marketing and awareness. 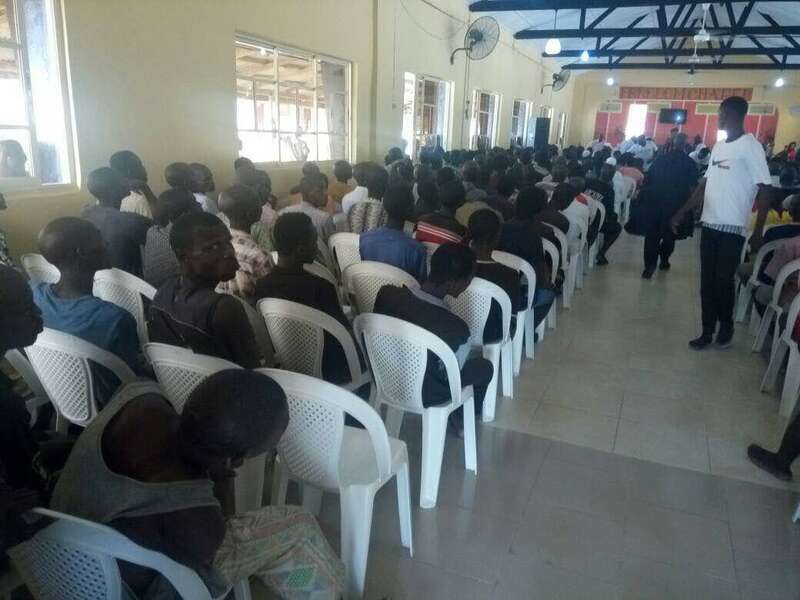 ASP Tony , who represented the DCP, said he is aware that the population of inmates in the prison is much and they all want to leave and are not interested in education, but what they do not know is when they will leave and that is why they need to acquire vocational skills. He told them about the department in the welfare unit called the after care and ones they are empowered the after care unit will follow up on them. 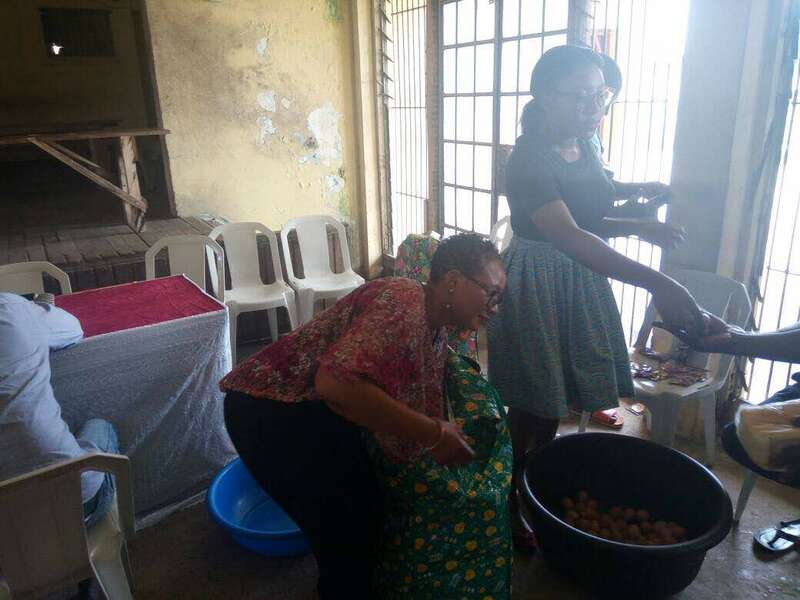 He appreciated PRAI for the program and the gifts of Bread, eggs and tea that was brought to feed the inmates. 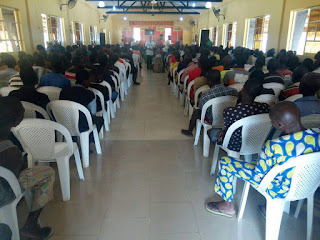 The program ended few minutes after 4 and there were over 330 inmates in attendance.